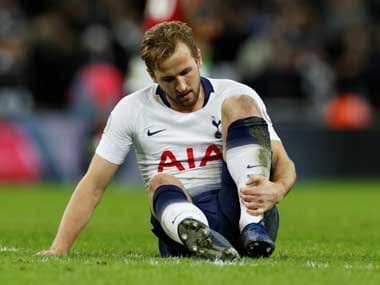 For many seasons — between their 2007-08 UEFA Champions League quarter-final defeat and their cathartic victory in the 2013-14 FA Cup final — this seasonal “virus” would strike the Gunners like clockwork. The continental challenge would be against a giant (usually Barcelona or Bayern Munich); a statement of challenging for a title would have been undermined by recent performances; and, in a matter of a little less than a month, the team would tamely limp out of all competitions. The consolation prize? A late showing against the continental team in the second leg (after the game was already lost) to claim moral victory, and a late season rally to finish higher than Tottenham Hotspur in the league table. Fourth place. Onwards for next season. Rinse. Repeat. Wenger finally ended the “specialist in failure” jibe in the 2013-14 season by winning the FA Cup against Hull City in extra time. Counting that memorable victory, the Gunners won three of four consecutive editions. Wenger increased his tally to seven FA Cups with this run. To put this haul into perspective, it is the same amount of FA Cups that his fellow EPL title top-4 aspirants Liverpool and Chelsea have won over the course of their entire history. No chance of increasing that count this year though. Against a plucky, youthful, Championship Nottingham Forest side, the reigning champions came up short in this season’s FA Cup third round. Just like that, Arsenal’s greatest chances of holding aloft a trophy (also the one competition that Arsenal have excelled in Wenger’s reign) at the end of the season vanished into thin air. Not having lost so early at this stage of the competition during his time in English football, this must surely rank as one of his lowest points of his managerial career. 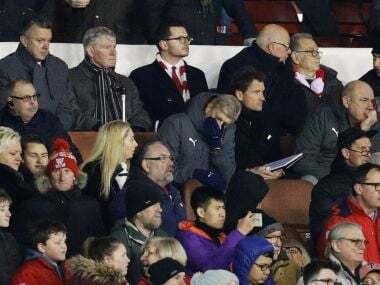 After the fixture-laden festive season, Wenger, watching the game from the stands thanks to his touchline ban, rang in the changes. Probably, he was keeping the opponents’ lower league status, and last season’s third round victory in the League Cup in mind. The regulars were given a rest — David Ospina started in goal; Mathieu Debuchy, Per Mertesacker and Rob Holding part of the defence; Alex Iwobi, Mohamed Elneny and Ainsley Maitland-Niles manned the midfield; Theo Walcott had an advanced role with Danny Welbeck as the frontline striker. The lineup had a youthful look to it with Joe Willock in the middle of the park and Reiss Nelson at left back. Forest dominated early on, scoring a surprise opener through a set piece. Arsenal hit back with the equaliser, courtesy Mertesacker. From then on, it was one-way traffic. Arsenal’s defensive frailties lay exposed with Eric Lichaj’s second goal. It was a strike of high quality, no doubt, but it shouldn’t take away from the fact that it came off a weak clearance attempt (Holding) and non-existent closing down by Elneny and Iwobi. Uncontested at the edge of the area, Lichaj took his sweet time to gracefully bring the ball down and strike the ball in an equally sweet manner. In the second half, Arsenal couldn’t construct much of note in spite of their early possession. And then, Forest broke through. 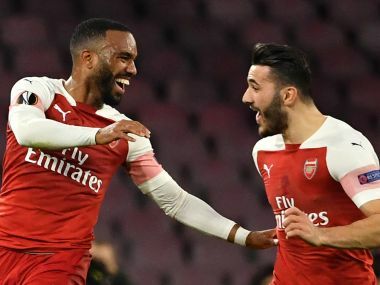 Teenager Ben Brereton, playing as a central striker, had induced plenty of panic in the Arsenal ranks throughout the game. In the 64th minute, here he was, with a chance to put his side two goals ahead of the Gunners. He didn’t miss. Arsenal were handed a lifeline of their own with nearly 10 minutes left in the game. The otherwise solid goalie Jordan Smith (barring this one moment), let things slip — literally and figuratively — when the ball escaped his grasp, enabling Welbeck to bring down the deficit to one. Forest fans would have dreaded the prospect of an undeserved Arsenal comeback at this stage, but the former Gunner Armand Traore earned them a penalty in fortuitous circumstances. It was just recently that Wenger had criticised the referees — here, Debuchy seemed to have gotten the ball first. That was not all; the penalty taker, Dowell, slipped at the crucial and looped his penalty in. Arsenal’s players protested the decision — that he had inadvertently touched the ball twice, but the referee’s decision stood. One can only wonder what would have happened to the game if video reviews were available in this instance with countless replays robbing the game of its flow, but that is a debate for another day. To his credit, Wenger conceded that his lower league opponents were sharper, more dangerous and incisive compared to his team. Granted, he fielded a weakened team, but this is not the game that Arsenal and its fans must have imagined when the draw was made. Mincing no words, the soon-to-retire Mertesacker told the club website that none of his teammates justified the manager’s selection. Especially, Debuchy looked well short of the club’s standard. With the FA Cup closing its doors on Arsenal, it is hard to imagine some of the backup team members getting game time in the crucial stages of the season. Does it end here? Nope. Their next game is probably going to be a bruising League Cup encounter (over two legs) against a Chelsea team. Ouch! Their challenge for fourth place seems to be a lot tougher than last year as well. Probably, their best bet is to target the Europa League to get to the Champions League next year. But knowing and seeing Arsenal, don’t count on it.